Portugal is very famous for its traditional gastronomy. Portuguese gastronomy is one of the most valuable cultural resources of this beautiful country. If you’re planning your holidays to Portugal you won’t be able to miss some of its most delicious dishes. Portuguese cuisine settles on the premise that all the ingredients must be freshly prepared, according to rules of the typical mediterranean and atlantic gastronomy. 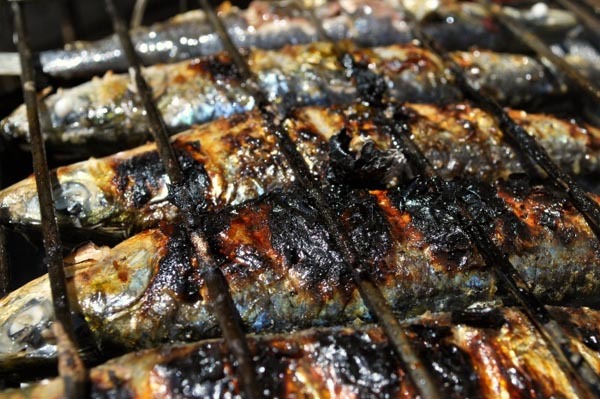 Sardines are a very typical dish during summer months. Usually seasoned with much salt and served with pepper salad and boiled potatoes or just on top of a slice of bread. 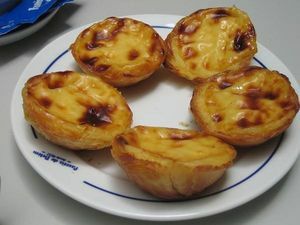 The pastel de nata is a small tart famous in Portugal, the most famous are the Pasteis de Belem, the sweetest kind available in Belém, Lisboa. These tarts are baked under a secret recipe not available to the public eye. Roasted piglet is a typical dish from the centre of Portugal. Usually it’s served with fried potatoes or softly seasoned rice. 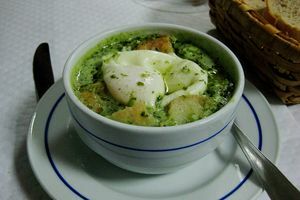 This is a tender and tasty dish that you ought to try especially if you’re passing by Bairrada or Mealhada. Seafood is a common good in portuguese diet and this is why you shouldn’t be surprised to find numerous seafood dishes where freshness is the main requirement. Due to the abundance of seafood on the portuguese coast, this dish is prepared and served in every way and for every budget.